“a picture paints thousand words” is a phrase used often in marketing to show the importance of an image to sell the product. Not only in marketing, a beautiful and clear image can tell the whole story without a single word. Just open any website, you won’t find any of them without images. Before uploading an image, many times it requires some editing to make it incredible and more attractive. Whether you take pictures with your phone or you’re a professional photographer, you need image editing software to edit your photos to bring focus on subjects. 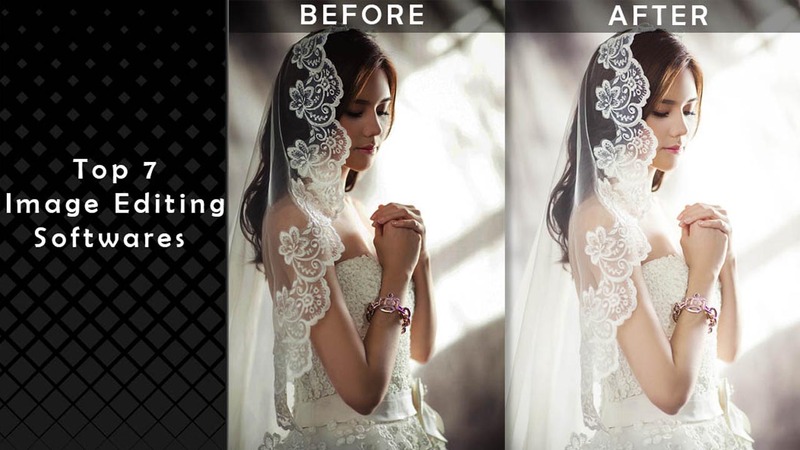 There are lots of image editing softwares are available to make your images beautiful and eye catchy. Some of them are free and for you need to pay money. But it is really difficult to choose right image editing software. We are sharing list top photo editing softwares to make it easy for you. Have a look! ADOBE PHOTOSHOP CC you can the make it with Photoshop CC, the world’s best imaging or graphic design software. Create and enhance photographs, and illustrations and 3D artwork. Design the websites and mobile apps. Edit videos, etc. One Week free trial No credit card required. Get The full access to Photoshop for a 7days. As a part of your free Creative Cloud membership, you’ll also get. Speech bubble maker: Give your photos a voice with speech bubbles! The cloud-based service for people who love photography, Lightroom CC Editor gives you everything you need to edit, organize or store and share your photos across desktop or mobile, and web.